On Thursday, May 3rd, our family was hit with a huge tragedy. The loss of our beloved Jazelle Thomas-Whitfield. 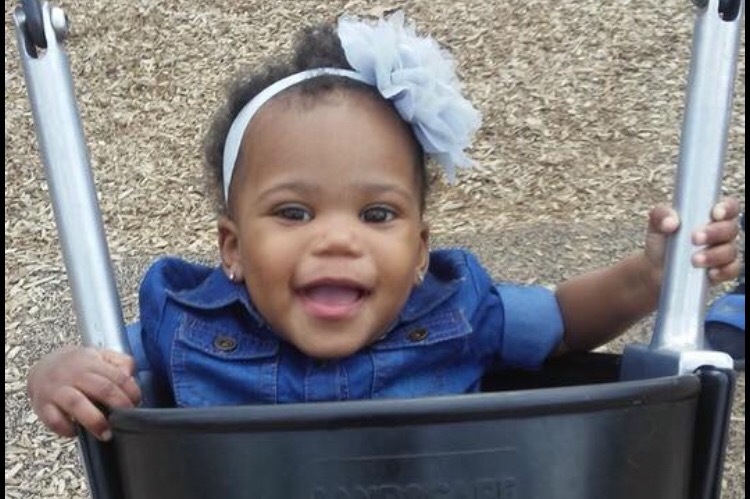 Jazelle got her wings at the tender age of 2 years old in a house fire. Her mother, Britany Thomas and other 4 children were able to escape, but lost everything. We are creating this account for Britany and her children to assist with funeral expenses for baby Jazelle, and for clothes, shoes, socks, underwear, and diapers for Jakayla(4m), Jaxon(3y), Jordan(5y), and Jayden (6y). Please help this family in their time of need, and grief. I’m asking anyone and everyone to give if you can, no amount is too small. Please keep our family in your thoughts and prayers as we go through this difficult time. Thank you, on behalf of Britany Thomas and family. Thank you again to everyone for your donations. This doesn’t bring Jazelle back to us but it definitely helps more than you know. Ashley Calhoun, the sister of Britany Thomas, has been added to the fundraising team and will be accepting the funds on Britany’s behalf due to Britany currently not having a bank account at this moment. Again, we appreciate every last one of you. With love, from my family to yours. God Bless! Thank you all for your generous donations. It is very much appreciated and our family is beyond grateful. May God bless every one of you.